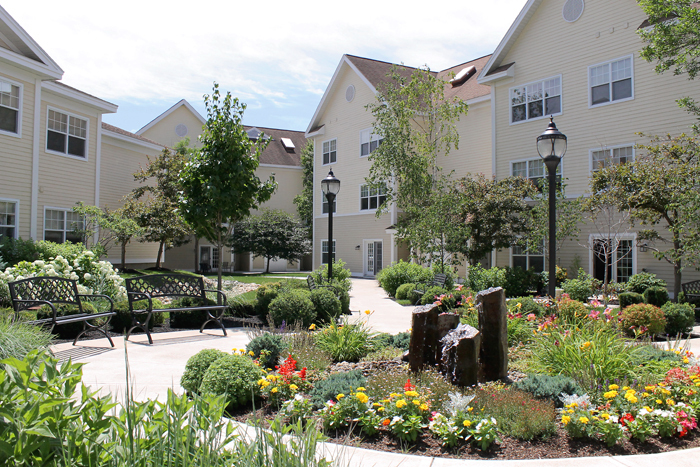 In the assisted living program at Woodlawn Commons in Saratoga Springs, you will enjoy the privacy and comfort of apartment living, and appreciate the support & security that gives you peace of mind. To schedule a tour please call (518) 691-1525 or contact us. In the Assisted Living program at Woodlawn Commons you’ll like the privacy and comfort of apartment living, and welcome the support and safety provided with helpful around-the-clock staffing and an emergency alert system close at hand. Assisted Living is an all-inclusive program. A monthly fee covers rent, utilities, meals, and the personal services the program provides. Your loved one will enjoy three meals a day with plenty of delicious options in our restaurant. We do the housekeeping and laundry, freeing him or her to take advantage of many opportunities to spend time in the company of friends during our interesting activities. We also take residents to local events and on scheduled shopping trips. Our nursing staff will help manage healthcare and medications and we will arrange transportation to medical appointments. If needs increase, we can adjust services to include help with bathing and dressing. You can relax knowing that the Assisted Living Program at Woodlawn Commons is licensed by the New York State Department of Health. For more information or to arrange for a tour, please call (518) 691-1525 or contact us. Apartment living for seniors who want to maintain a level of independence but would benefit from support services on a daily basis. 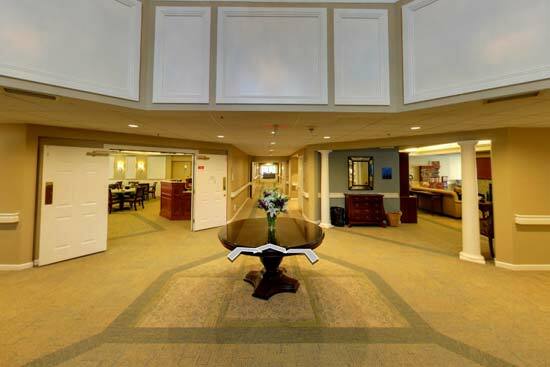 Navigate around the lobby, restaurant, great room and library see everything Woodlawn Commons has to offer.